LG is reportedly almost ready to officially unveil a successor to the G Flex (pictured above), which was introduced in late 2013 as the company’s first smartphone to sport a curved, flexible display. 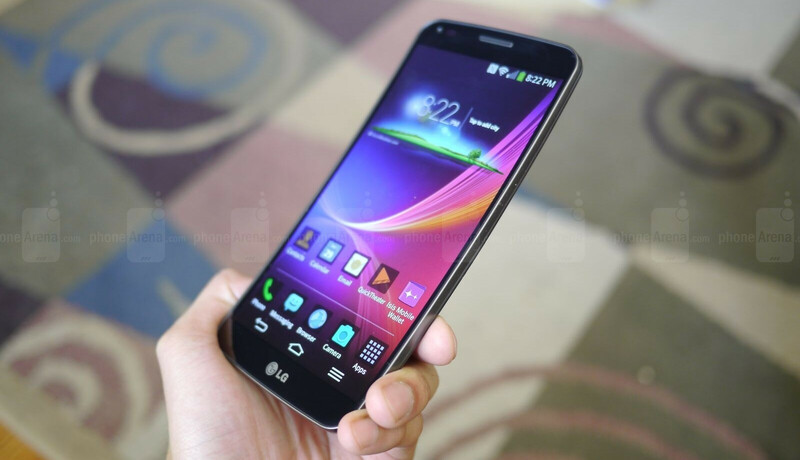 Not long ago, we heard that the new handset, called LG G Flex 2, would be announced at CES 2015. Now, Korean website Naver confirms this, adding a detail that we previously didn’t know: the smartphone will be powered by a 64-bit Snapdragon 810 processor, featuring LTE-A connectivity with tri-band carrier aggregation. While the Korean website doesn’t confirm any other features, previous rumors had it that the G Flex 2 would not be as large as the original model, offering a smaller display (though with a higher pixel resolution). The first G Flex comes with a 6-inch 720p screen, so we expect the new version to have a 1080p display of around 5 or 5.5 inches. Like the original G Flex, the G Flex 2 should feature a self-healing rear shell, and will most likely be released in the US. CES 2015 starts next week, on January 6, and we’ll see then exactly what LG has in store for us. LG should retain the display size and reduce the the overall size of it just like they did with G3. It should have QHD too as almost all flagships will have QHD display in 2015. I know QHD is just a gimmick and nothing great than FHD. Still, for marketing purposes, this phone should feature a QHD display along with a huge battery. I heard the screen was gonna be a 5.7 inch POLED screen @QHD resolution but it could be wrong. It's not like they're using a standard screen technology. Snd 810 + 1080p dp: GAMING MACHINE! Only gaming beast is the nvidia shield tab right now. You think this can beat that? Nah. You all know iPhone 6 can be curved right? And what can not be curved ? Their sales charts are curved. I feel like this phone deserves more hype. It definitely has the "wow" factor but there's also an unexplainable feeling that blocks me from getting excited. The last one is incorrect. The G3 was actually only the third QHD phone. But difference between 720p and 1080p is kinda noticeable 1080p and 1440p is quite the same FHD is almost as sharp as QHD when using the phone or texting. Hhuh idk if you will not agree with me but FHD is very suitable for a mobile phone. What am I curious to know is, is it worth it to get a 4 GB RAM device? 3 GB is awesome! Why don't they put that self-healing back on G3. It would be great. It probably would have made it too expensive and may have ruined the faux metal look. Wow, that first source has so many errors it's scary. "Snapdragon-810 also supports 64-bit with a 3-band LTE-A as an integrated chip combined with the mobile AP modem chip. Therefore, G Flex 2 is also the world's first smartphone to support 64-bit. 64-bit A smartphone is a data processing speed twice faster than the conventional 32-bit smart phone." My wife LOVES her Curve... it will break her heart if the next one is below the 6" screen she has adored since we bought hers in late 2013. She has not even asked about another phone except a new Flex. I have heard from a few sources that 5.7" is the screen size. I am hoping it is amazing enough that a slightly smaller screen works for her.